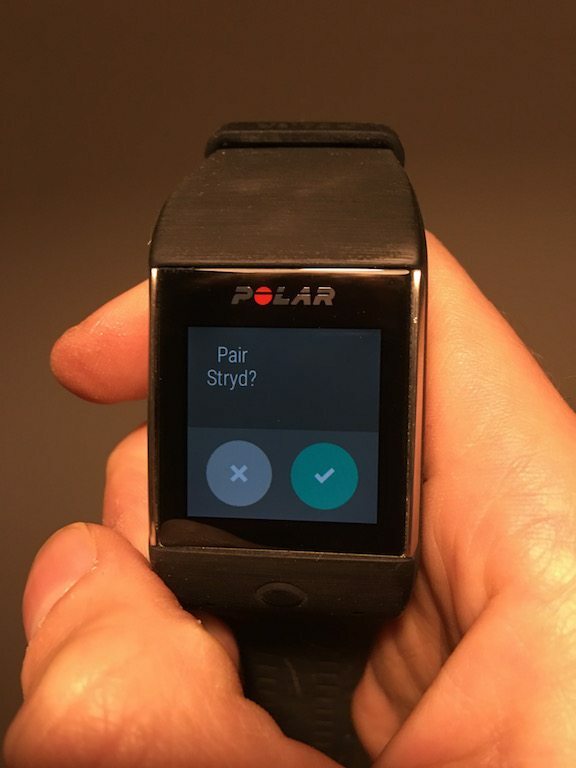 Polar have made a BIG decision. 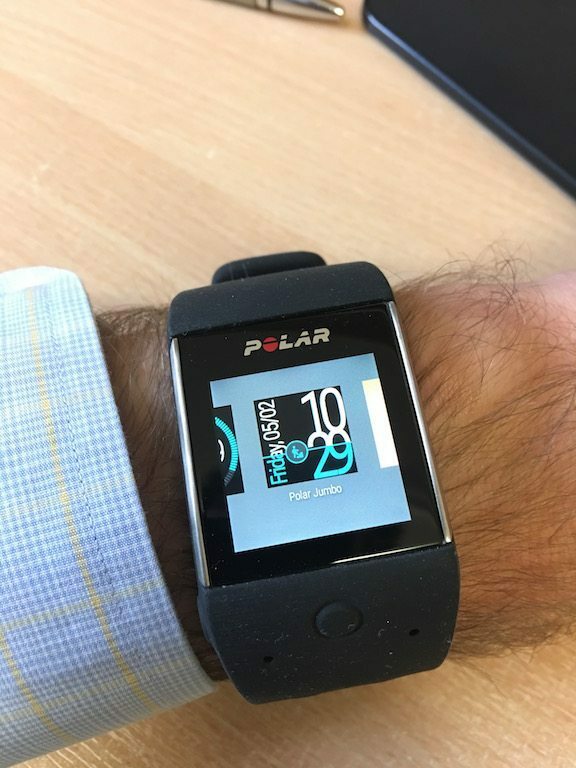 Bringing in Android Wear as the core operating system for the Polar M600. Yes, they have applied their own tweaks to the top of the system, but is the M600 a true Polar?. 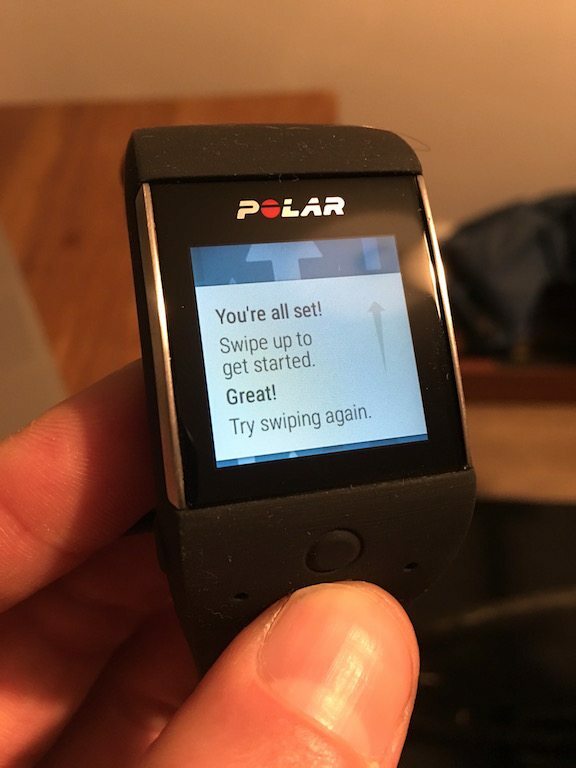 Has Polar sold out? Or with one product release have they catapulted themselves over their rivals? Let’s find out! 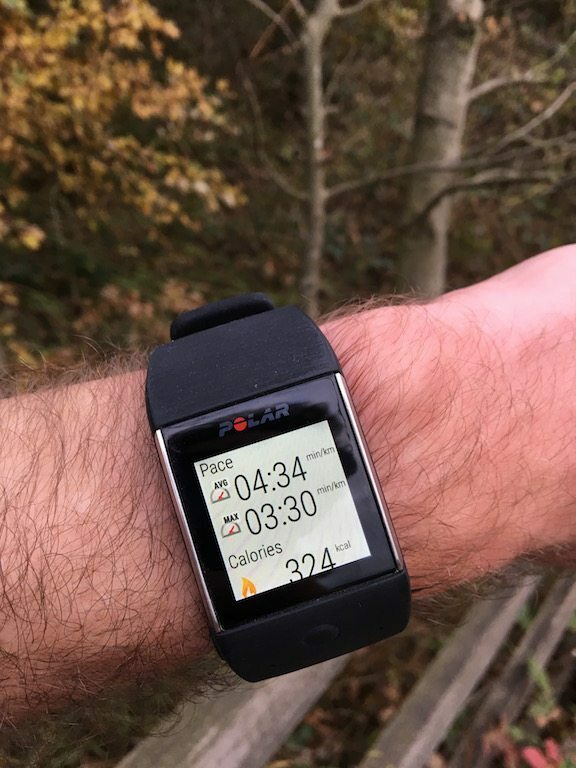 Polar still just about holds my recommendation for the number one running watch to buy with the Polar M400. 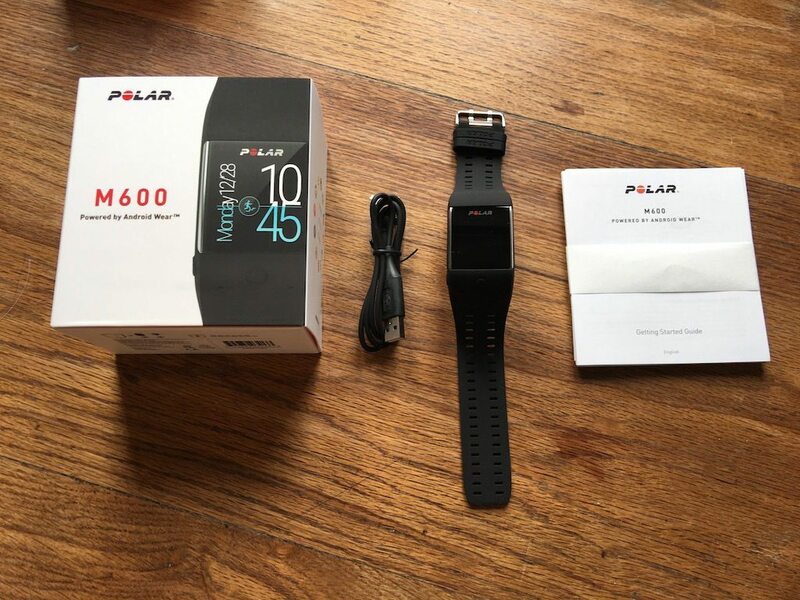 It is not perfect, and a lot of this is due to the fact that without question, the Polar M400 is a device which is getting very long in the technological truth. Last year, I was hoping for eeat things from the aPolar A360, but came away disappointed feeling it was a flimsy, rushed device. 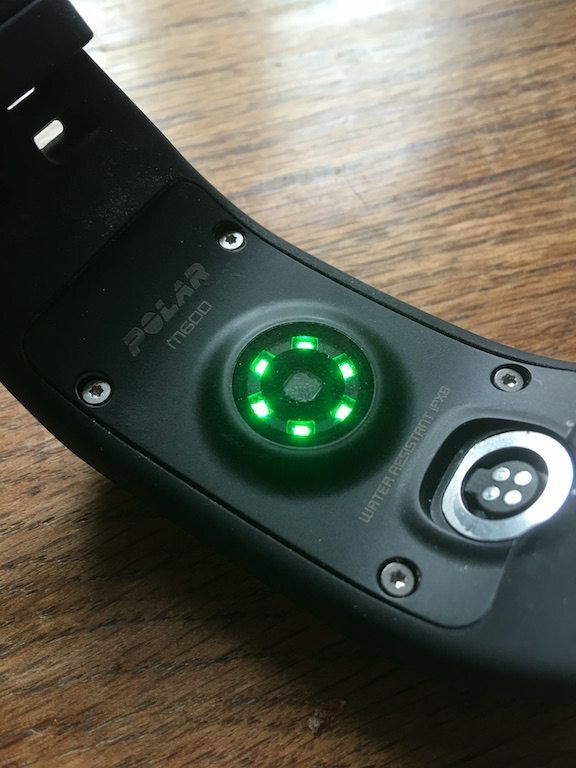 So upon hearing that the company had taken a completely new tac with the Polar M600, wiring Googles technological brain to Polar’s sports and fitness soul, to say I had been anticipating the arrival of my review unit would be an understatement! 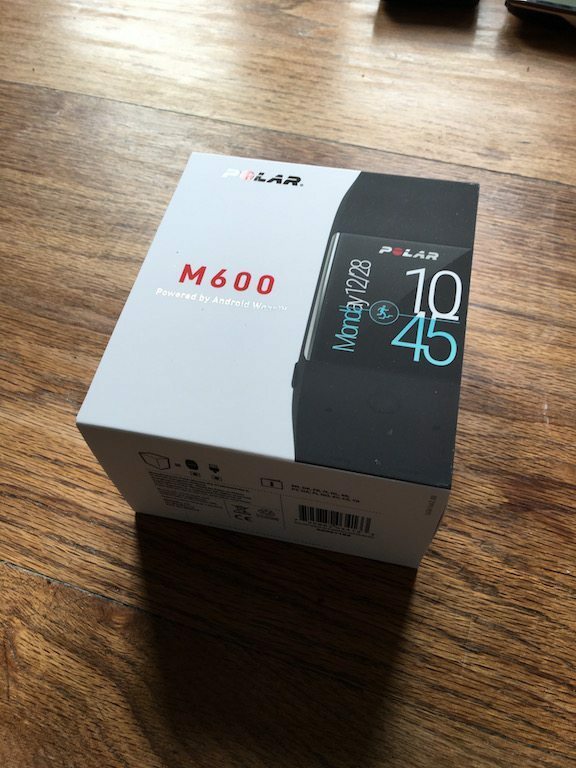 So after a couple of months of using the Polar M600, what is the overall response to the M600…. That’s a tough one. But I think it’s fair to say this is probably going to be a bit of a bumpy review. 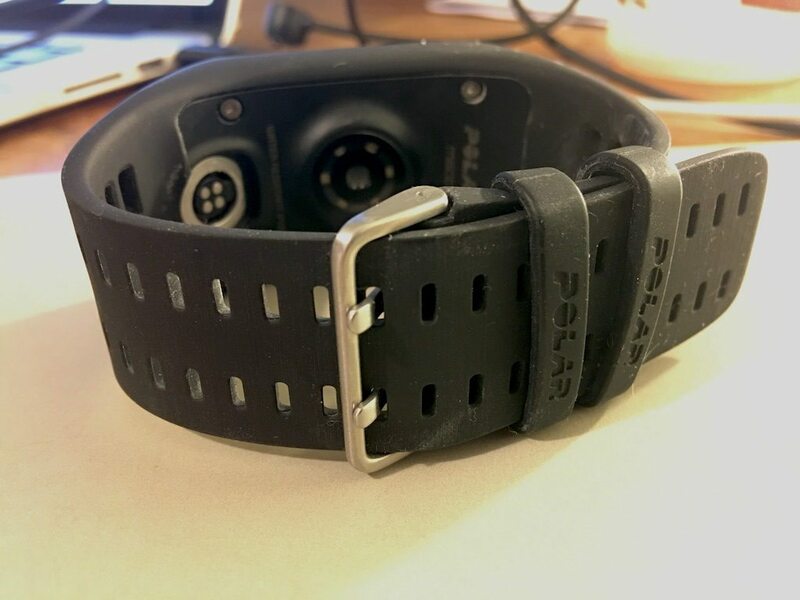 To given you an idea of what I mean, some aspects of the Polar M600, are without a doubt, best in class, whilst there are others bits of the watch I can’t be nearly as complimentary about! So without more ado! ON WITH THE REVIEW!!! 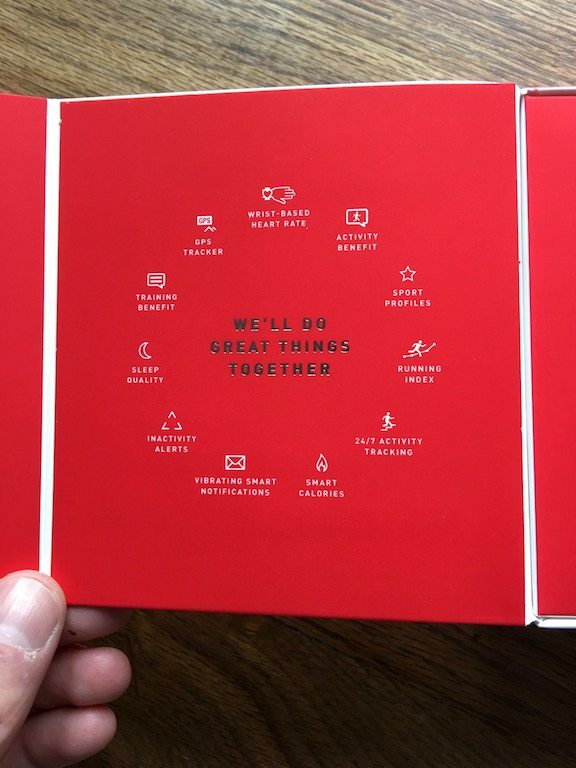 This is marketing hyperbole, I know that, but anything that gives a person that little extra push, to get out of their couch/seat hammock and do something is going to get my vote! OK, enough of the Public Health England type thoughts, shall we get back to what’s IN the box? I actually started having my charger grump again after having had the Polar M600 for a few days. 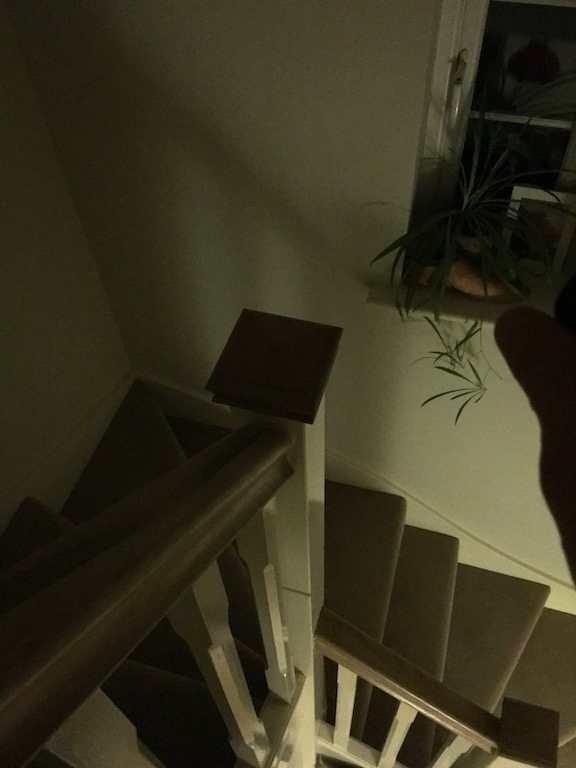 I had lost the charger. I seem to have enough micro and mini USB cable to knit myself a hammock, but a tonne of devices that each only use one specific charger. So I was able carry on reviewing the m600 – it’s a mini adventure! 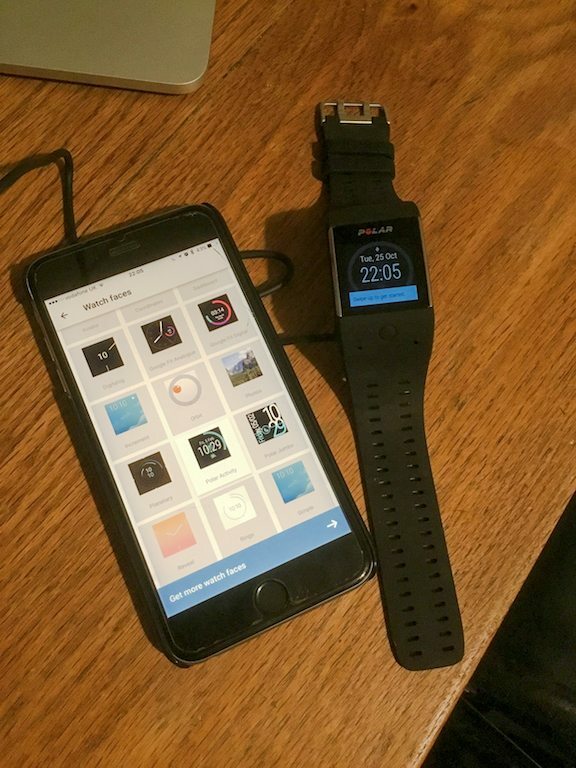 But in all seriousness surely it would save a company like Garmin money to standardise across their devices? 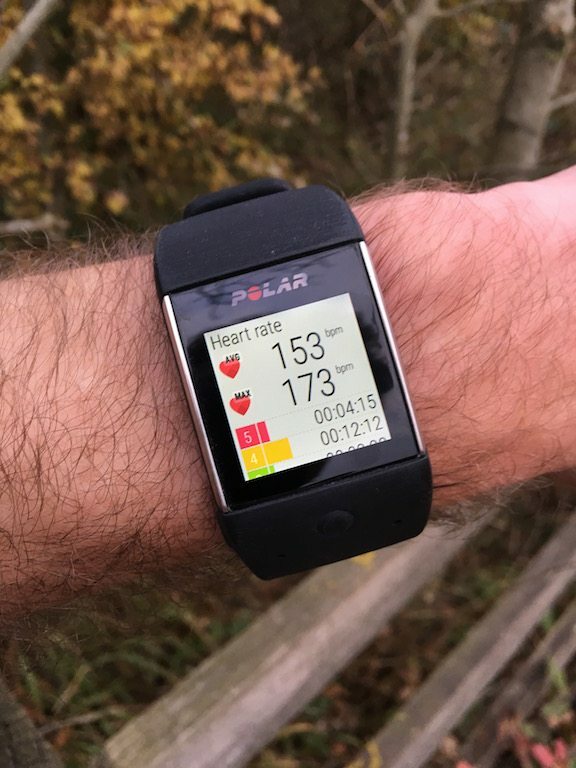 When I have reviewed Polar units in the past, I have commented at Polar’s preference for beautiful monochrome screens, which in fact gave much better user experience than a poorly chosen colour screen – I’m looking at you Garmin VivoActive HR! 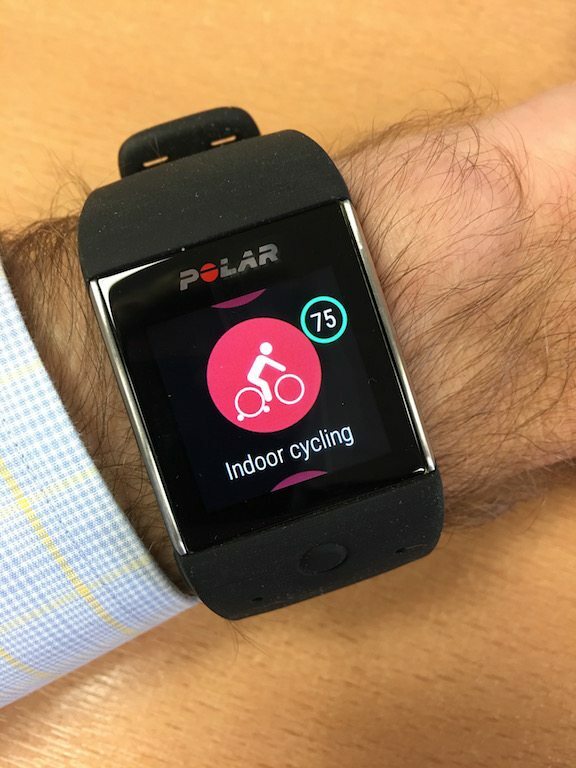 So it was with trepidation that I approached the glass covered colour screen on the Polar M600 – oh by the by, this is Corning Gorilla Glass 3 doncha know! 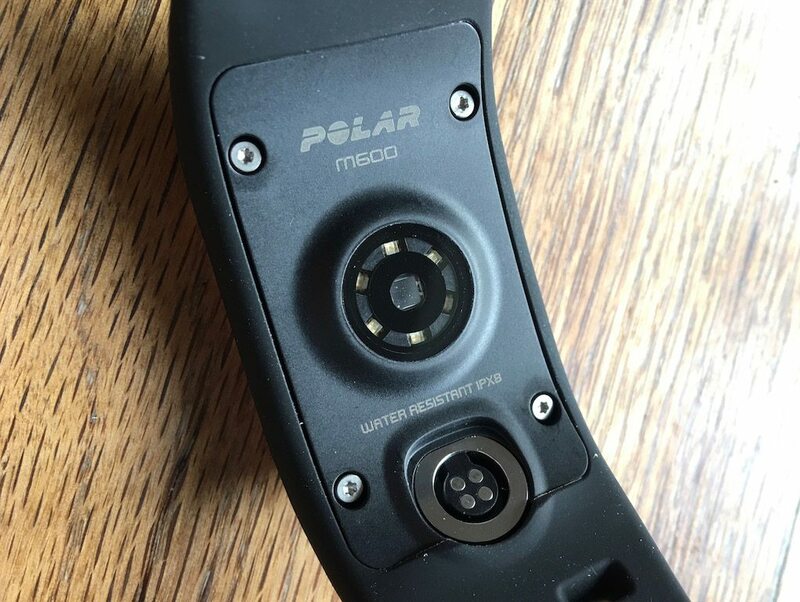 Under the screen we’ve the Polar Button, this will load up the Polar Flow app on the M600. 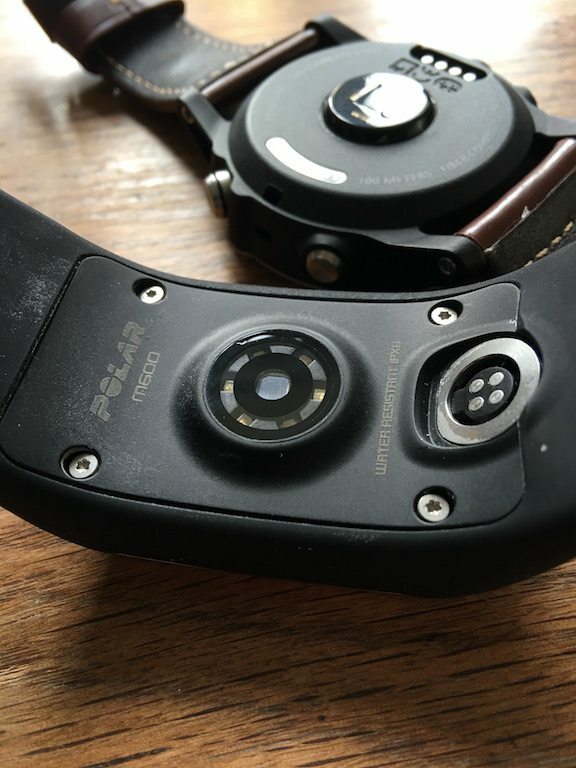 On the LEFT of the unit is the power/return button which will bring you back to the watch face. 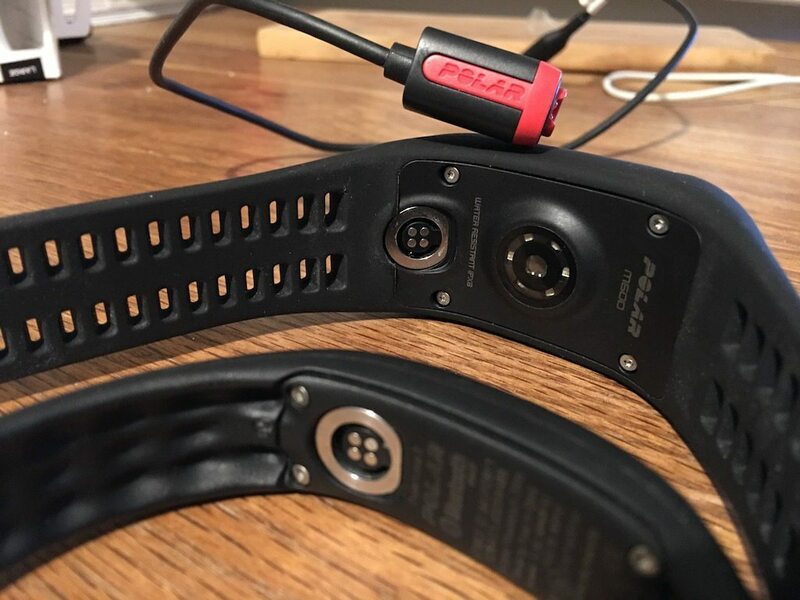 As a slight saving grace, as it appears we are stuck with the easy-wearing rubber on optical heart rate devices – as they need the give from the softer rubber – the Polar M600, as with the A360 before it, is actually a module which slots into the strap. It has to be said, the strap holds the M600 internals very well. I have not had even the hint of a possibility the core might come out. 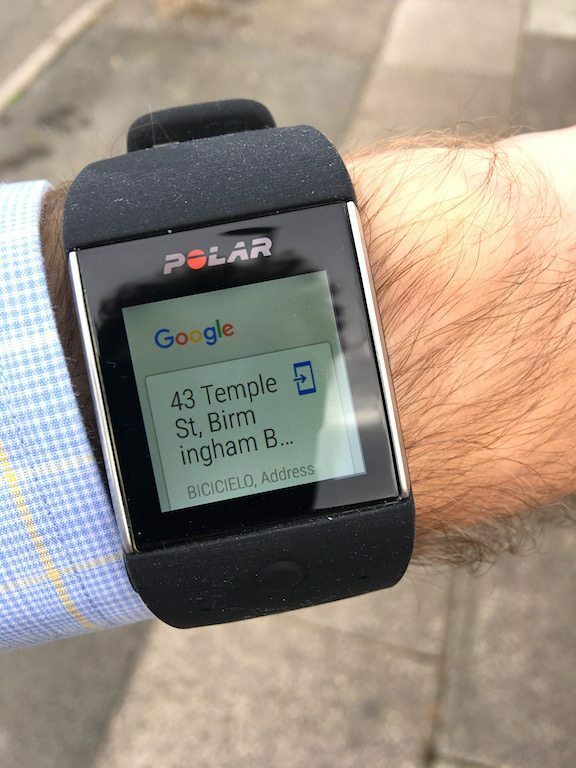 Once the Polar M600 is charged – it comes with an empty battery in the box – it’s a case of downloading the Android Wear app and getting the Polar M600 paired up to your phone. 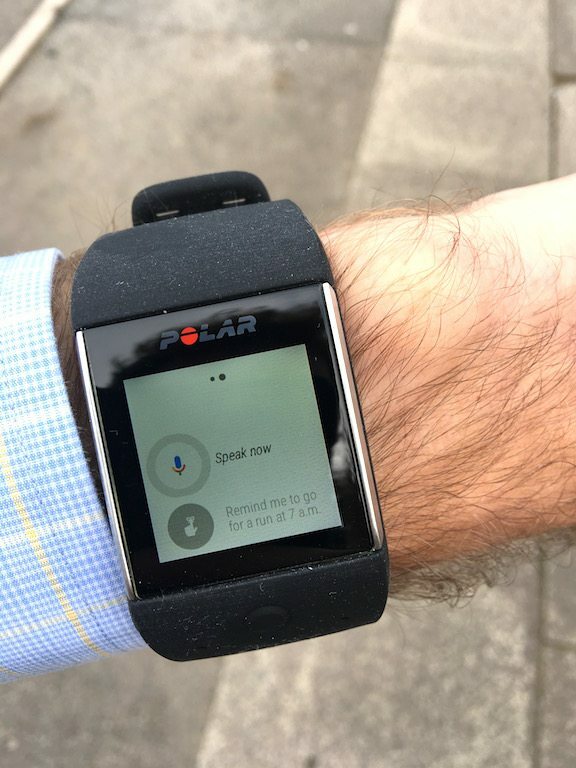 You do have to pair your phone to the Polar M600. 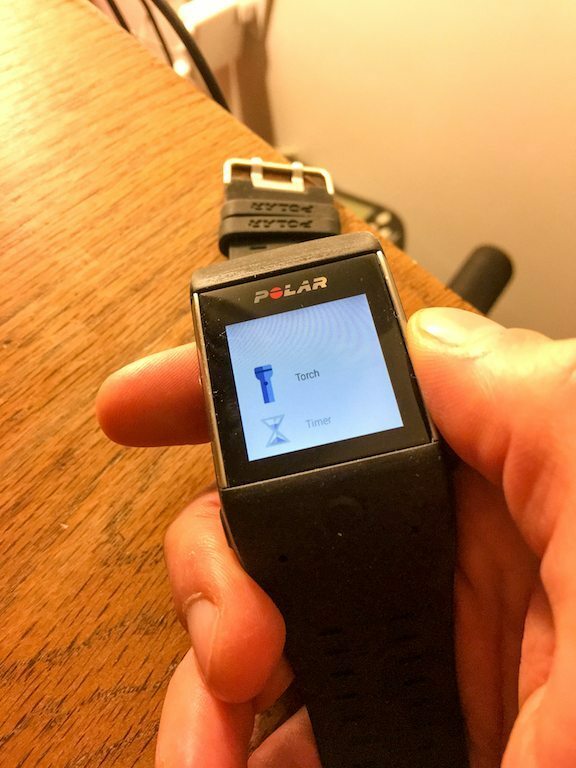 You could technically use the Polar M600 without but, you’d be using a crippled device. 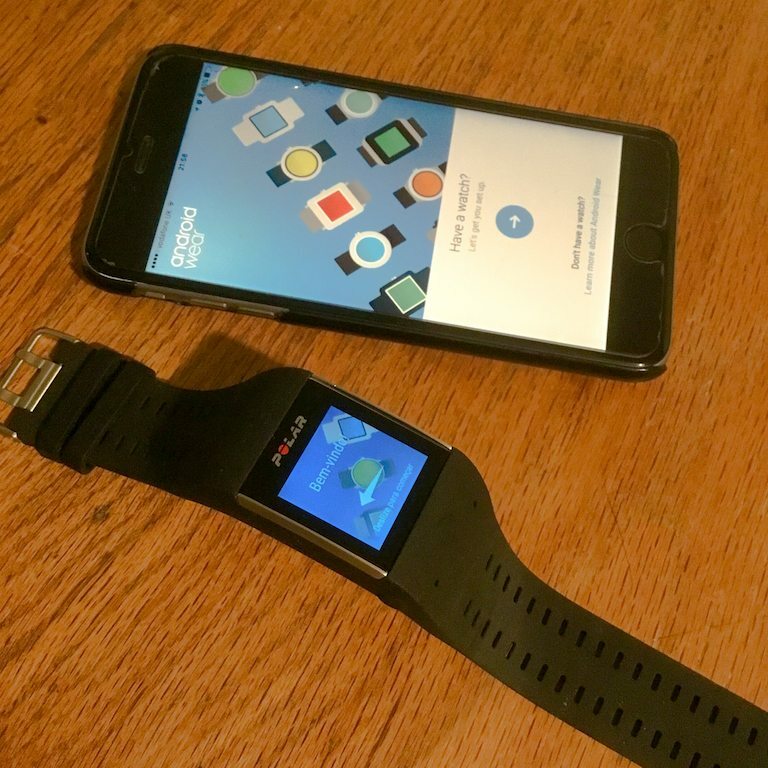 I’m not talking about the smart watch functions there, more the Polar Flow features, as the software has at least one odd choice right out of the box. Once the setup with your phone is done, you need to move over to the computer. This is a bit of an irritation. 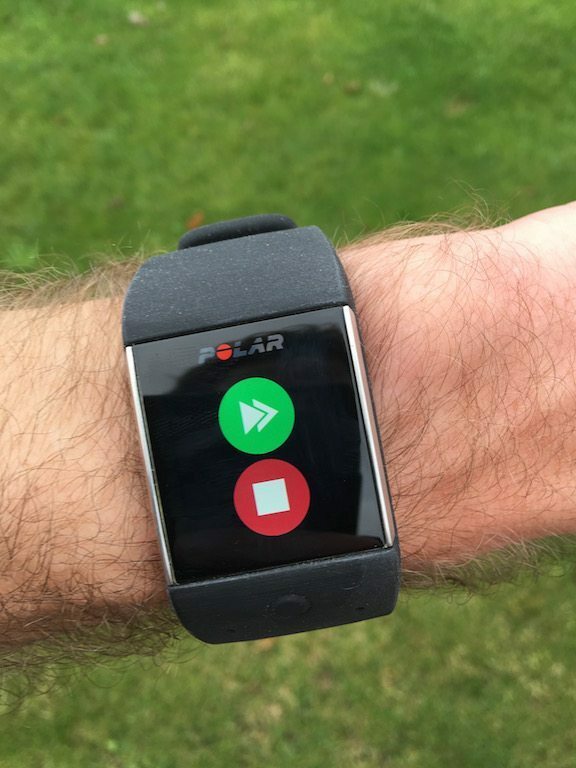 From the sports watch perspective, the Polar Flow app on the phone is merely a way of syncing to and with the cloud. 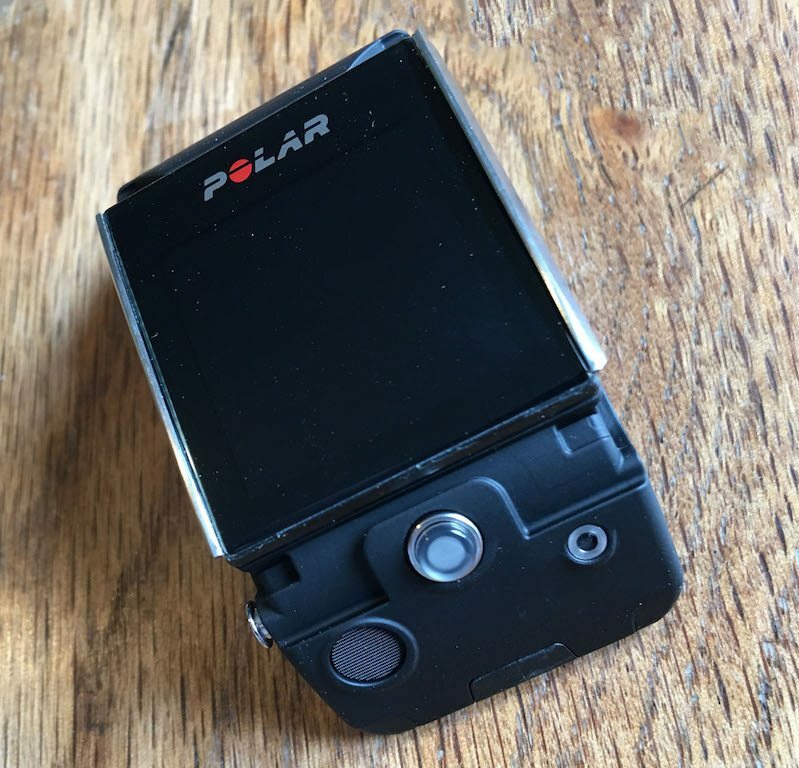 There is very little functionality in the app in terms of adjusting the Polar M600. For some daft reason, the running profile ships WITHOUT being able to show you your current pace by default! There are default summary screens, but none give you crucial information such as current pace! 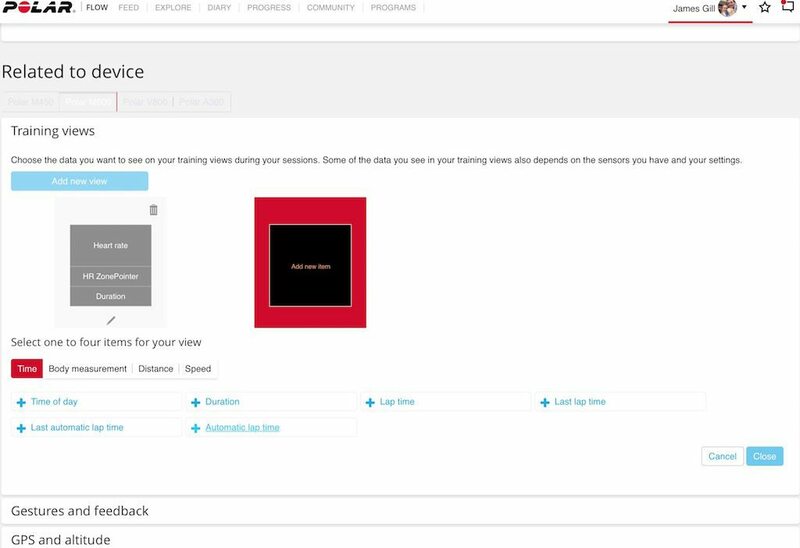 However you can add that data on via the frames shown below on the Polar Flow page. 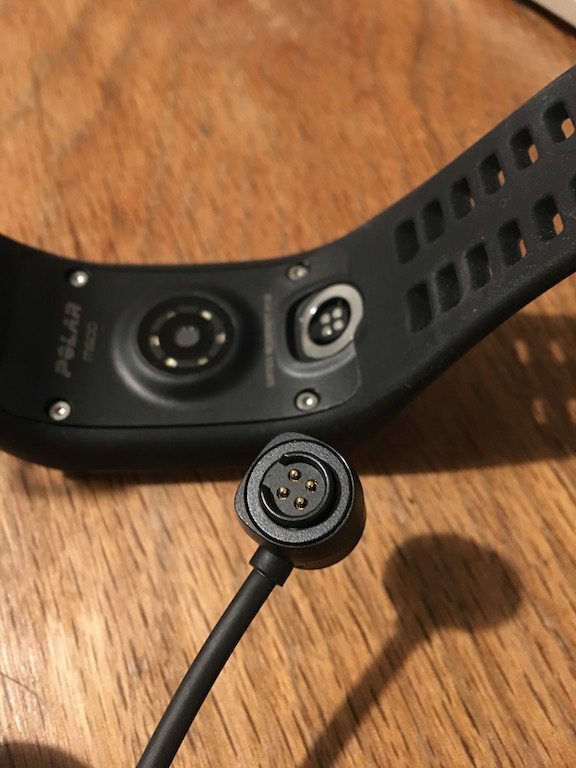 From the site you can also add in any of the 120 different profiles in this part of Polar Flow, which does sound very impressive, BUT this is where the Polar M600 comes unstuck slightly as a multi-sport device. No cycling cadence or power here! 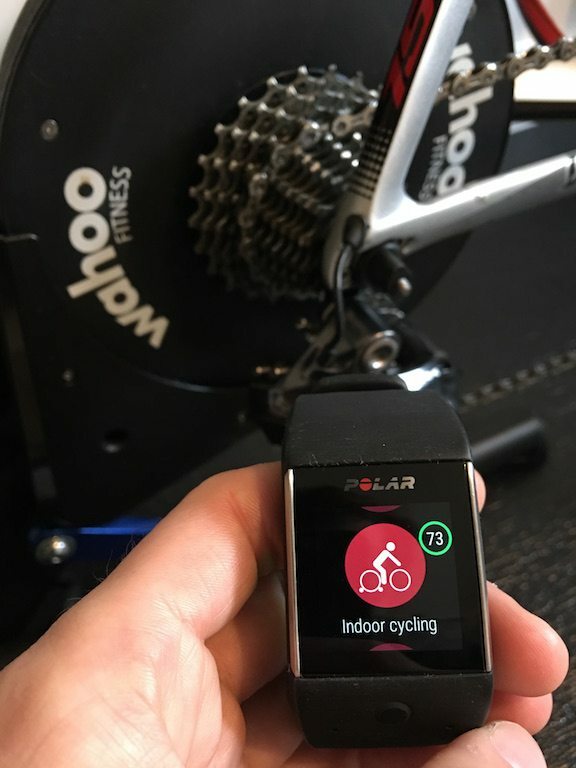 There may be a sports profile for indoor biking, but all you’ll measure here is time and heart rate. This greatly reinforces my opinion the M600 should be considered only as a running focused watch. 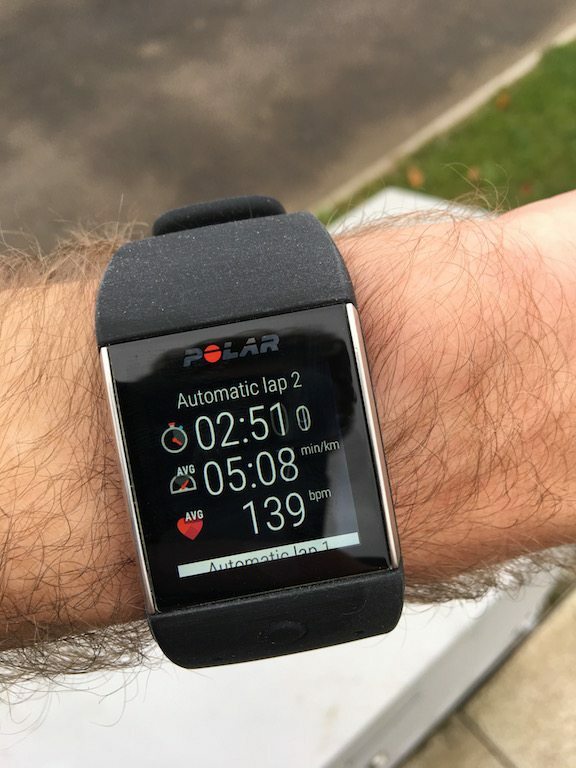 Ok, in which case ,how does it fair as a running watch?? 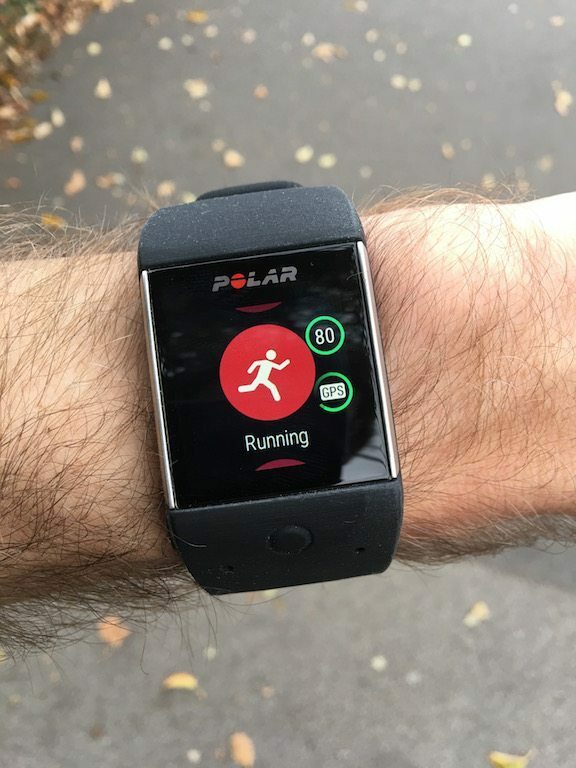 You access running profile, by pressing the central hardware button on the M600 to load up the Polar Flow Training app. 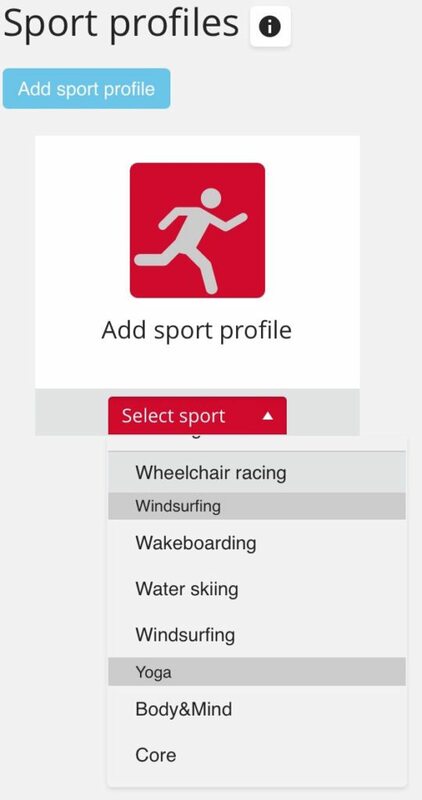 Within that simply scrolling down through the available sports to the running symbol. When you top on a sport profile, two circles appear on the right of the screen. 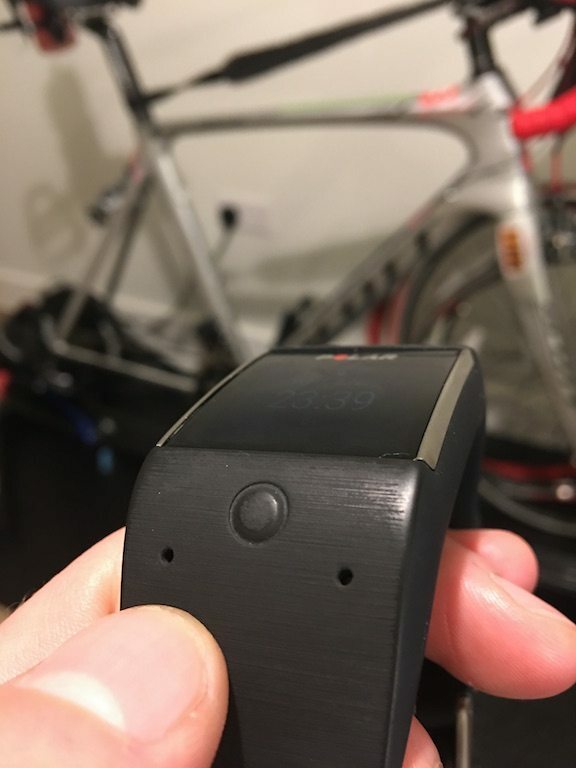 To the top RIGHT is your pulse from the 6 LED optical HR sensor, whilst on the bottom is the GPS lock. The GPS lock here seems surprisingly slow. Like year-2000 slow. 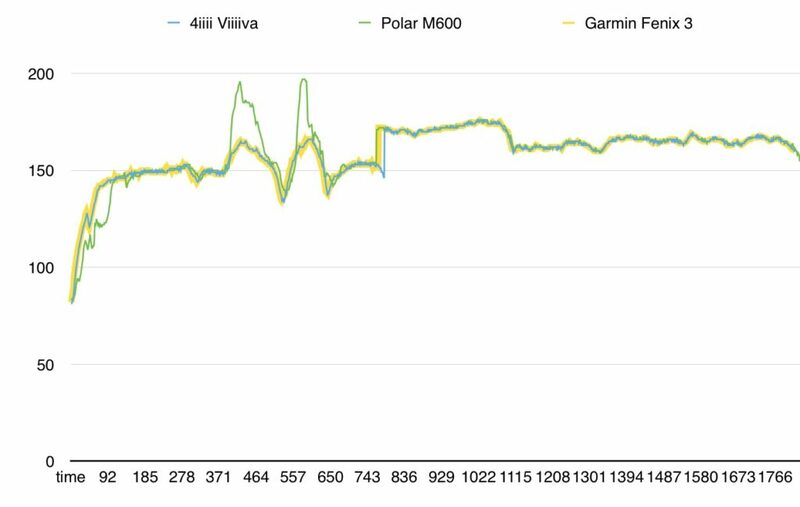 My Garmin Fenix 3 would find a GPS lock within ~10 sec, M600 would have me waiting for up to 1 minute! Irritating when you want to get going. When you have a GPS lock, hit the running man in the centre and you are off! I couldn’t actually grasp until I was using the M600 how effective the scrolling function was. It is so intuitive. 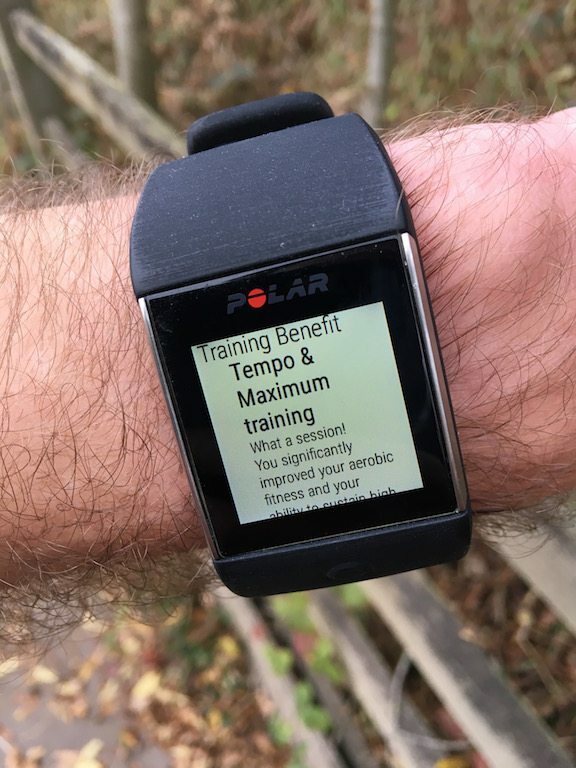 When using buttons on a watch, especially on a run, you can miss the data field you want, by pressing too many time with a button, then normally having to continue all the way through the data carousel, or swap to a different button to get back. On the M600 you just flick, and it makes running with this watch a breeze! To end your run, swipe to the left, tap and hold the pause button for a 3 sec count down and you are stopped. Only a minor point, but I’m not utterly keen on this approach. 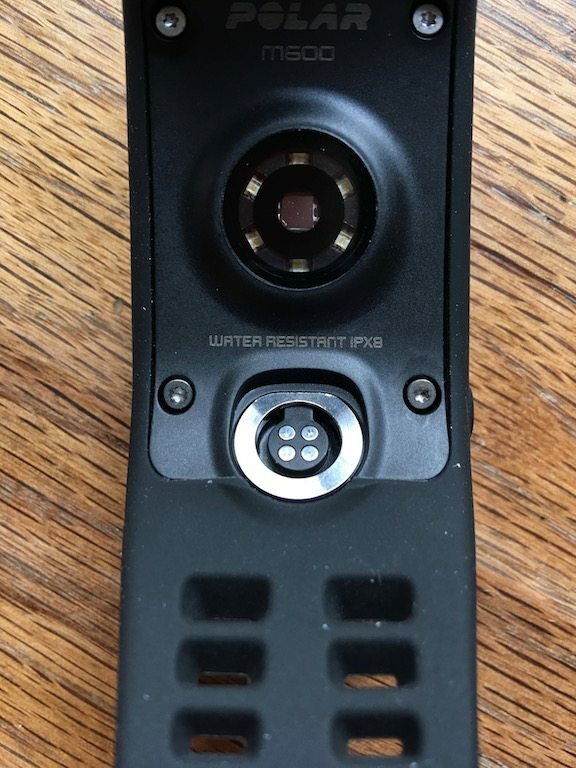 I tend to prefer a physical hardware button to stop an activity, but didnt have any issues with the screen detecting my fingers been on cold runs. 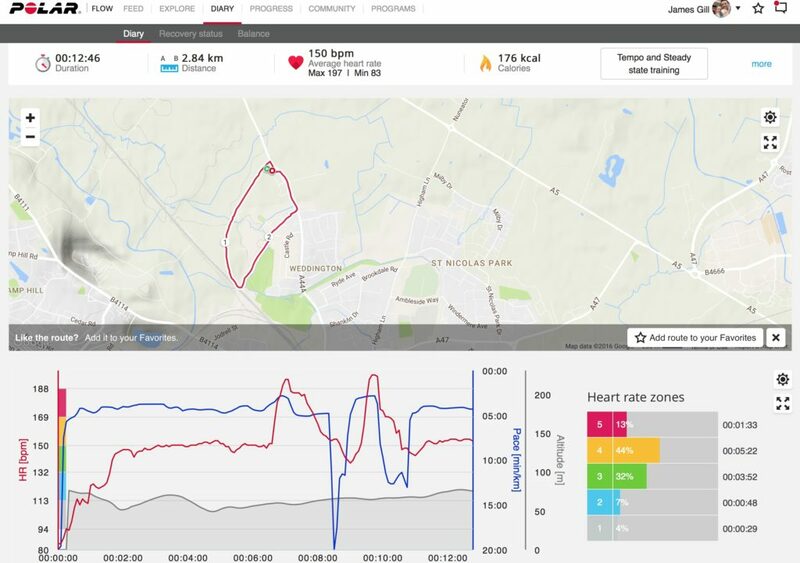 I’m going to focus here on the running side for the optical HR sensor – with a short 3km loop around Nuneaton. 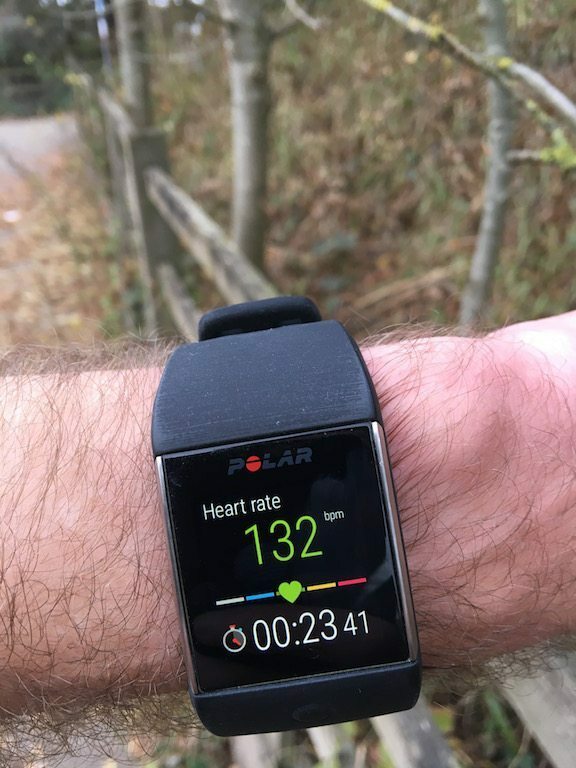 At the start of the run, about 8 deg C outside, the Polar M600 takes a few moments to get into it’s stride, and continues nicely, until I do a couple of 30 sec sprints. The M600 did adapt, just a too aggressively. However when I do the next sprint for a strava segemnt, the tracking is spot on. 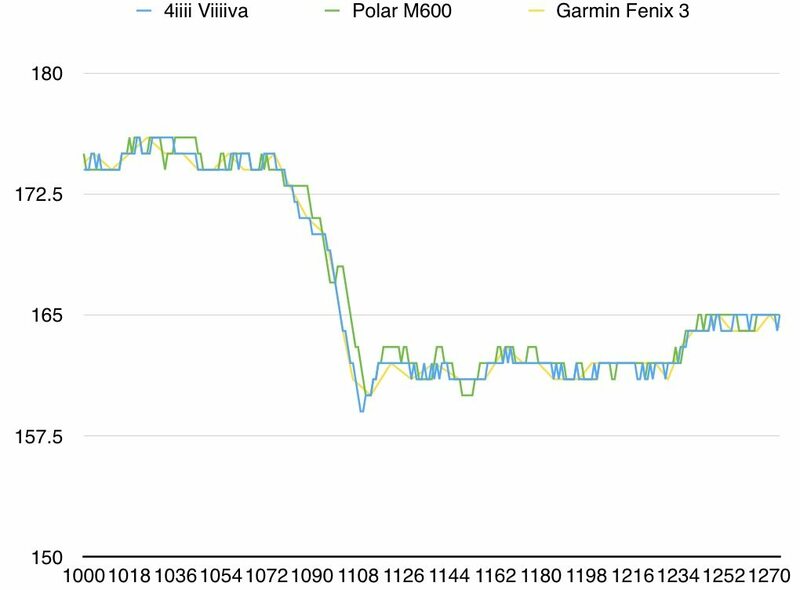 Any blips seen with the M600 seem to be when running outside within the first 2-3 mins as the unit seems to warm up, other than that, the HR seems reasonably reliable. 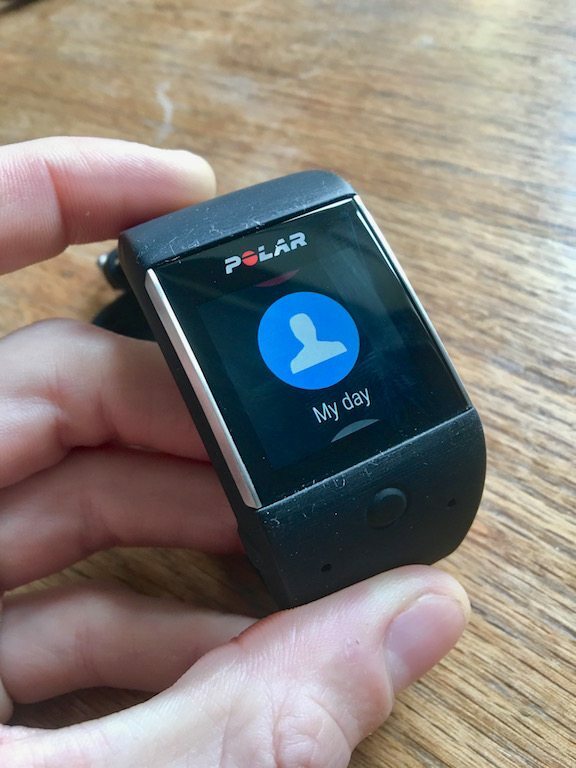 Viewing your activity data during the day is done through the “My Day” section of the Polar Flow app. 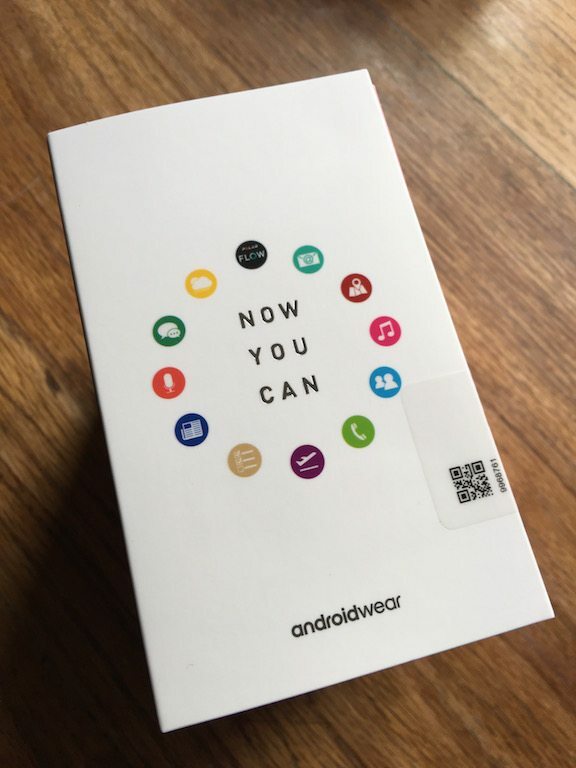 This has been my first foray into Android Wear and apart from the battery life – and I like it. The smart notifications are great! 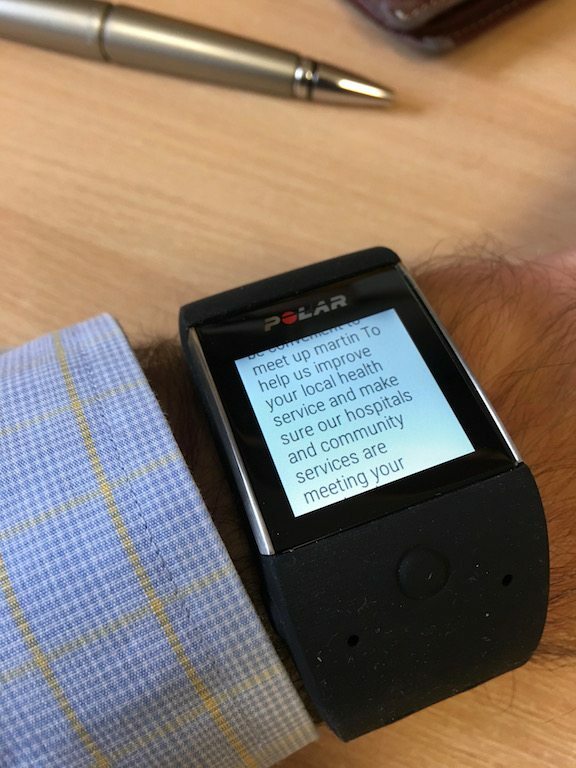 You get very detailed notifications, heck you can read a whole email on the M600, which makes my Fenix 3 look rather old school! 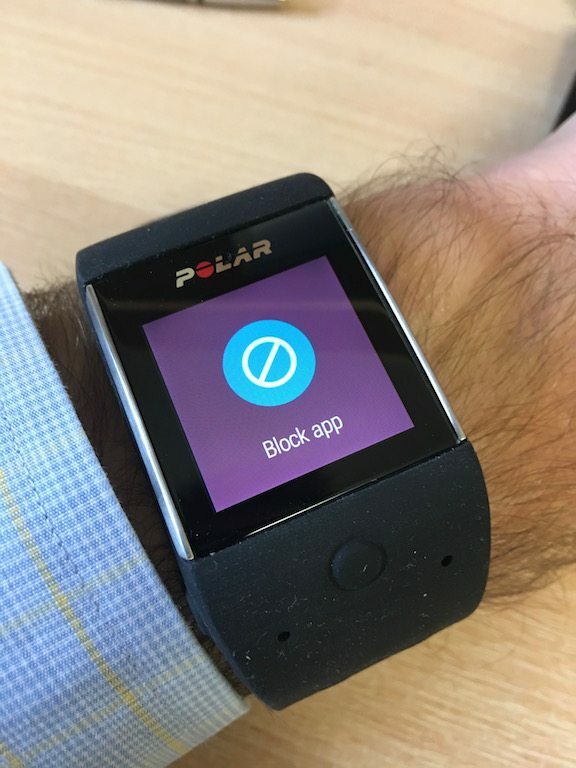 But one feature I’ve been particularly impressed with is that you can block notifications from the watch! For example, I don’t want to be troubled by a particular app – as soon as the notification comes up, I swipe RIGHT and block further notifications coming from my phone. Lovely! 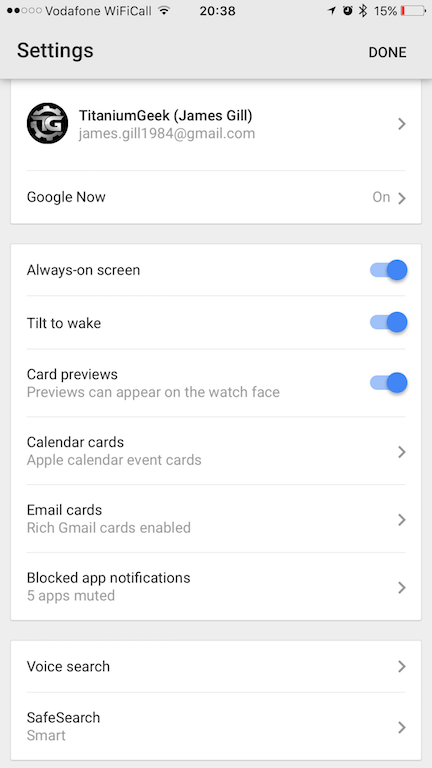 Being an Android Wear watch, you get the inclusion of Google voice assistant by yelling “Ok Google” at your watch. Maybe more than once. I have always viewed the smart functions as additionals on many devices. 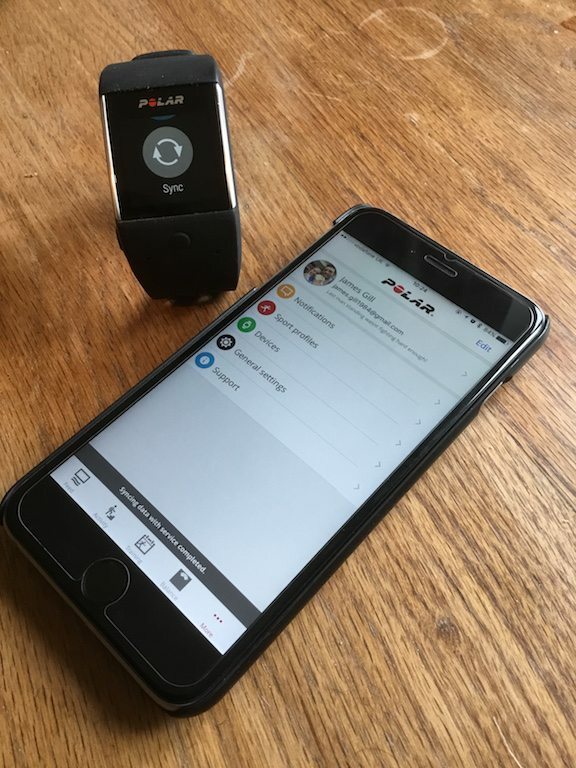 Yes they may be enough to cause one purchase over another, on that note, the smart notifications are TERRIFIC on the Polar M600, but that is due to Android Wear. 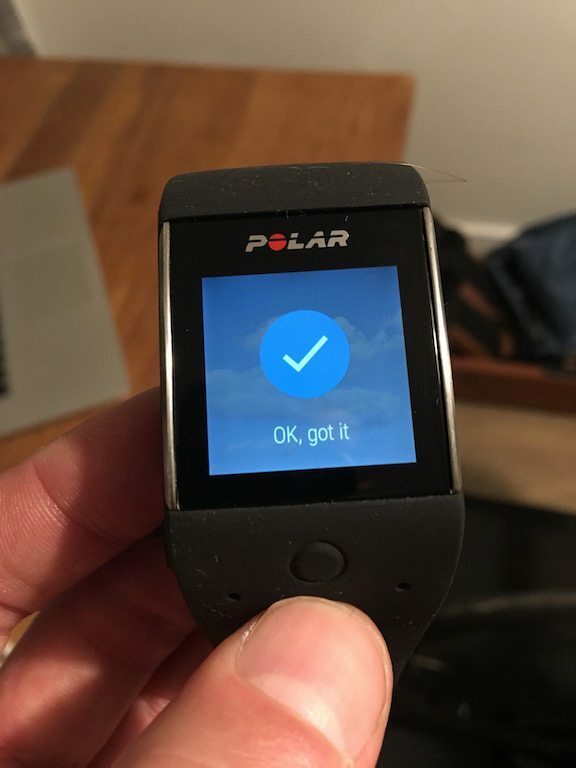 The simple running software is fantastic on the Polar M600 too. 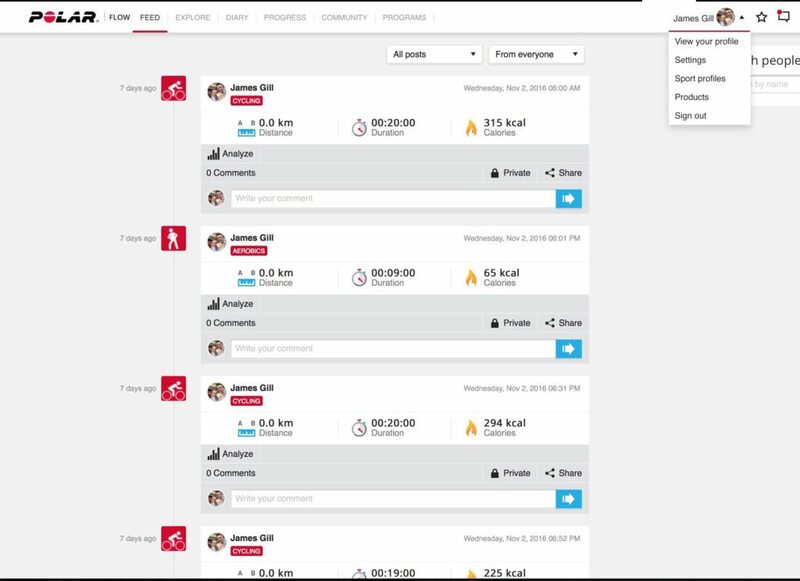 If you are not looking for cadence, gait analysis etc. 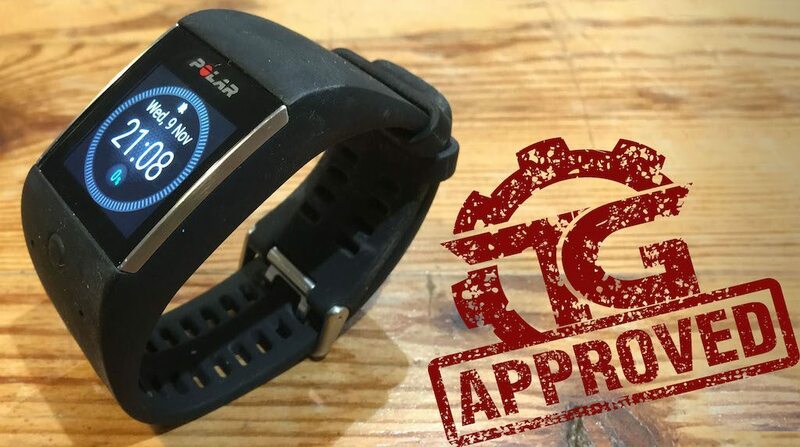 Just a good running watch that does it’s job well, with the inclusion of smart notifications, this is a great bit of kit… apart from the battery, and I think I know a big reason why! 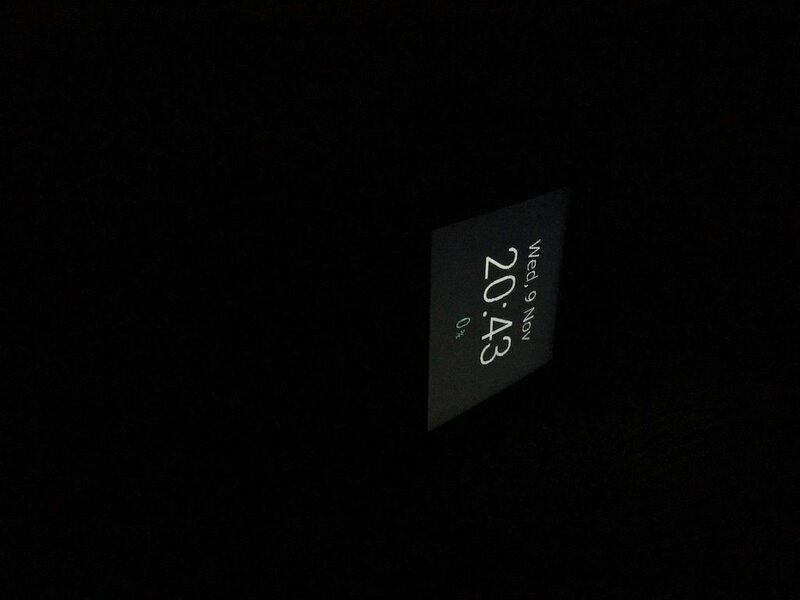 The watch backlight is unfortunately ALWAYS on. 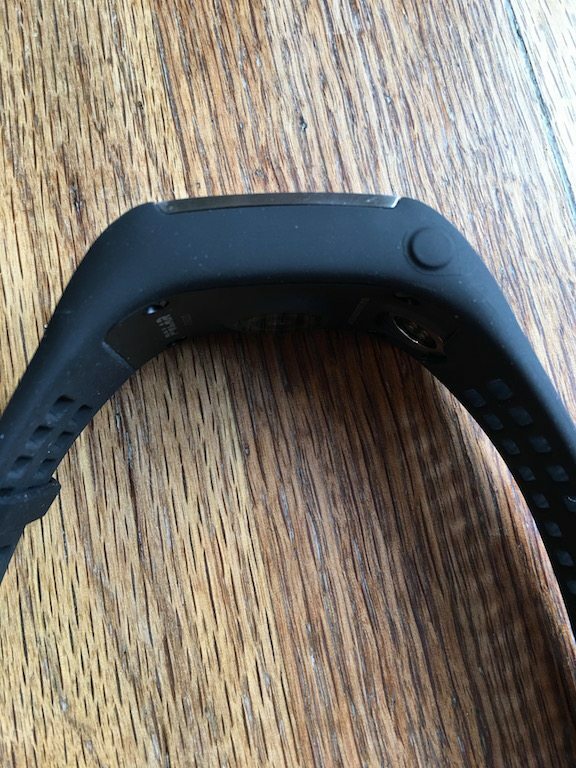 If you do decide to switch the toggle off, you are going to save significantly on the battery, this mainly due to the fact that the wrist movement detection isn’t that great. 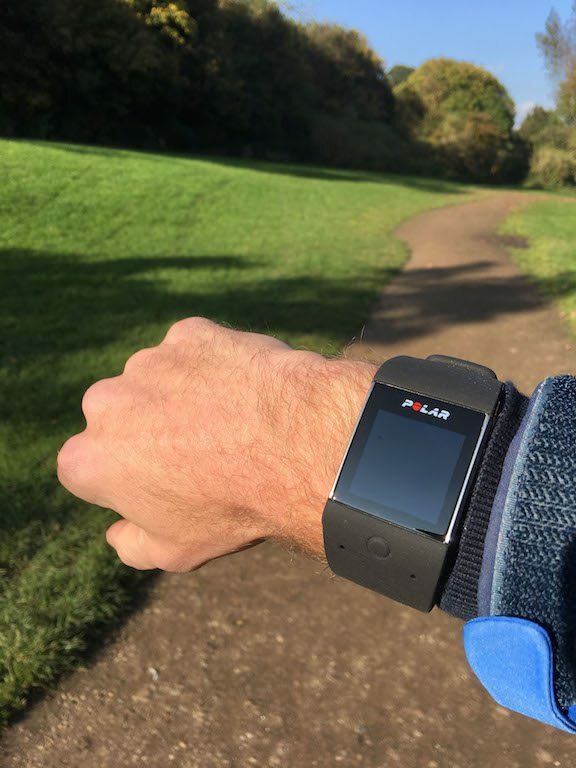 When you are on a run, bringing your arm up to view the screen, several times due to lack of activation is really irritating! But the battery life irritation goes further. 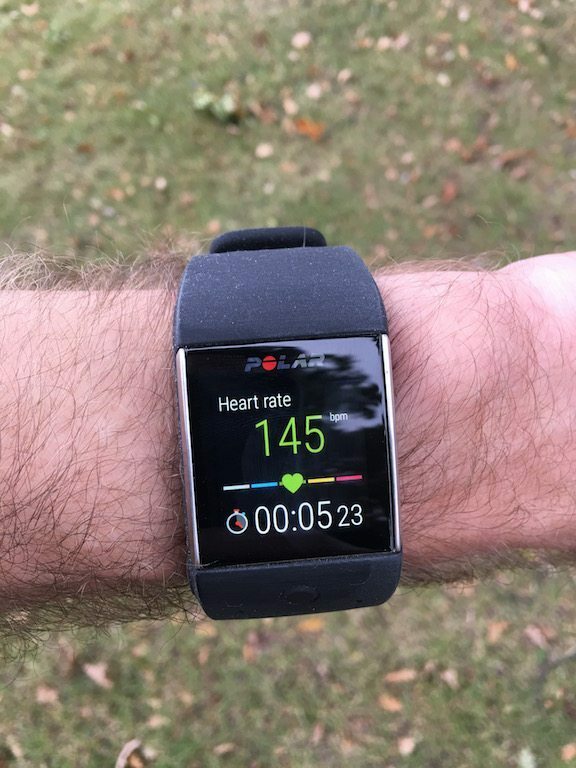 I have on several occasions now missed any “battery low” warnings, and have found myself half way through the day with a dead watch on my wrist. 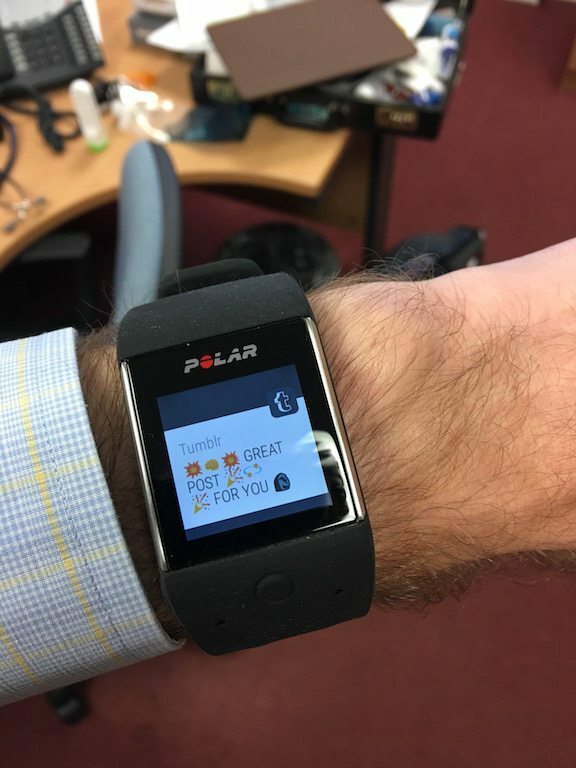 Almost turning that argument on its head though, the Polar M600 does have ways of using it’s exceptionally bright screen. 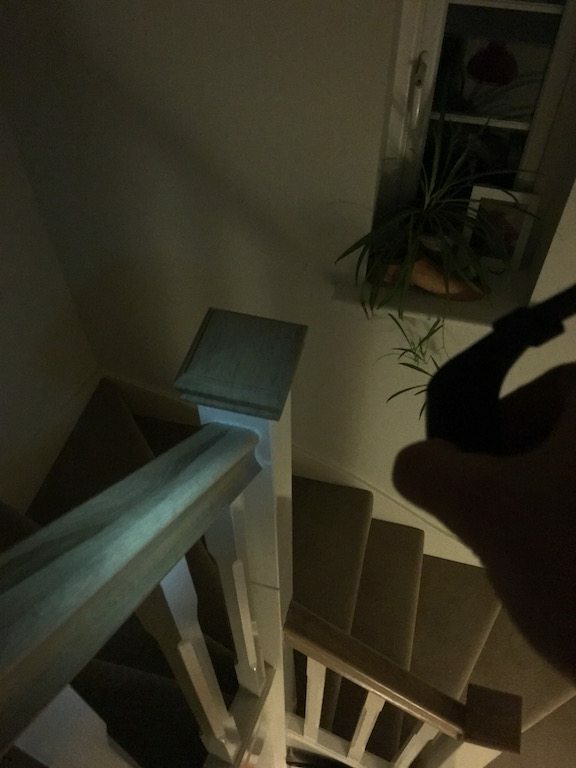 Directly in the operating system is a torch function, which isn’t half bad! I’d say that’s a noticeable screen backlight! 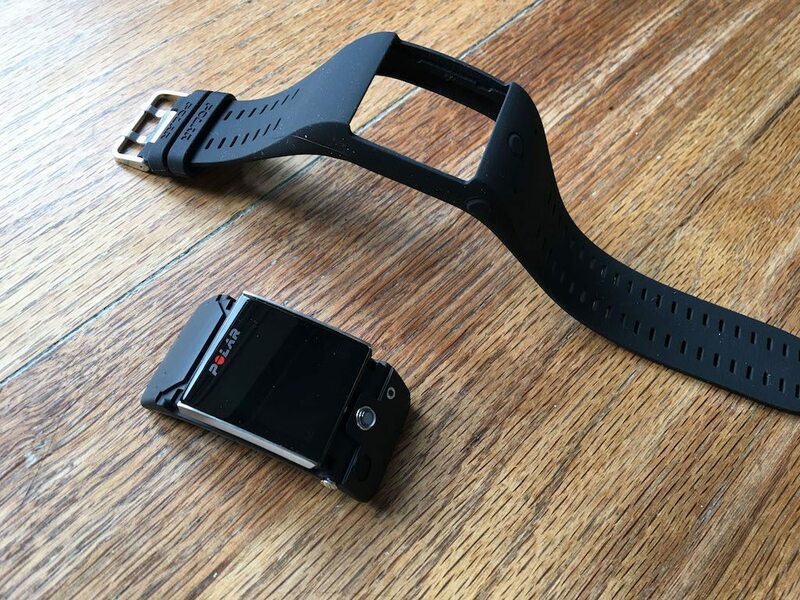 It is NOT a multisport watch. 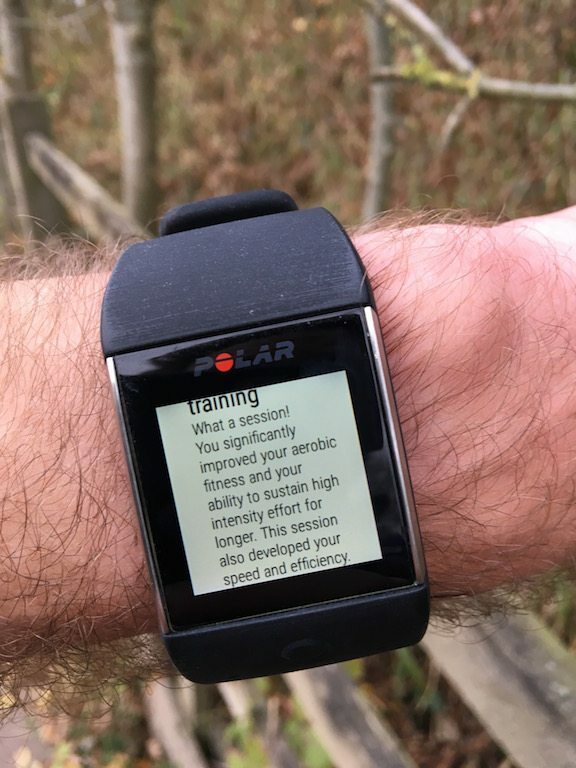 It is not even what I’d term a great training watch. 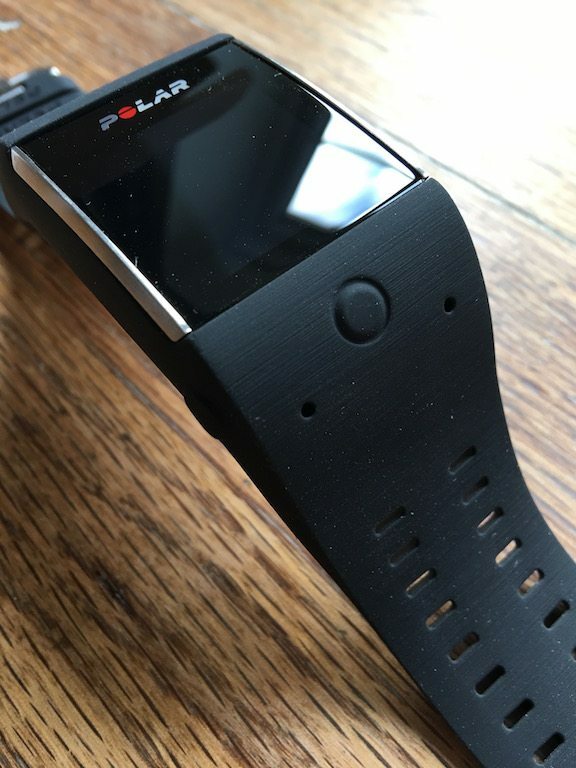 What it is, however is a good running watch. No faff, and off you go. 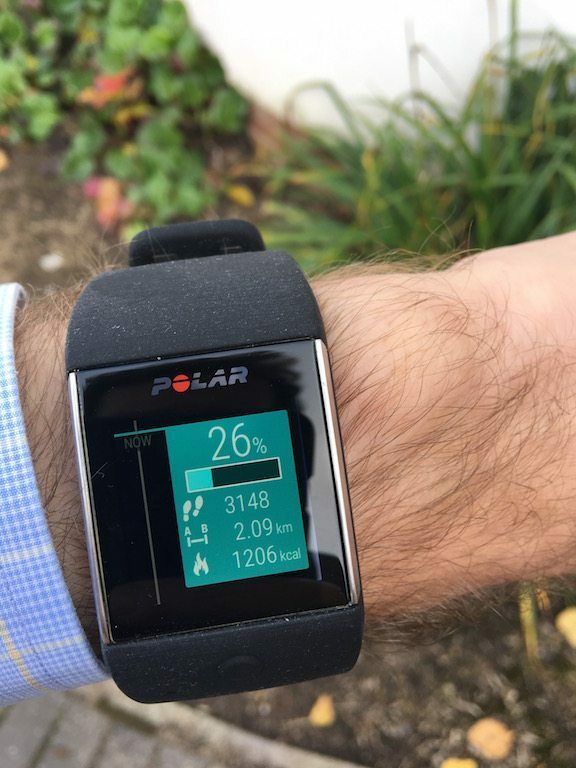 There is a major down side to this however, no cadence data either, which I feel is a major oversight on Polar’s point, especially at this price point. 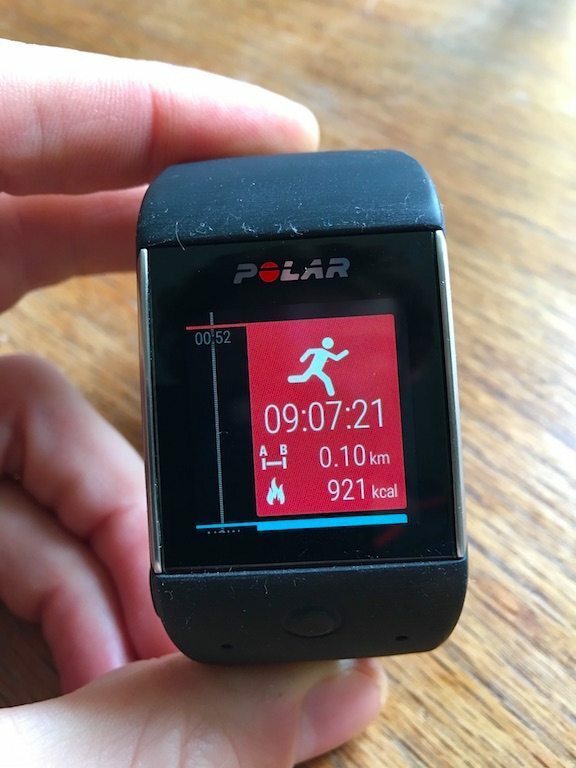 But I cannot get over how easy it is to run with the Polar M600, the simple swipes, a with so much space to display data are wonderful to use. 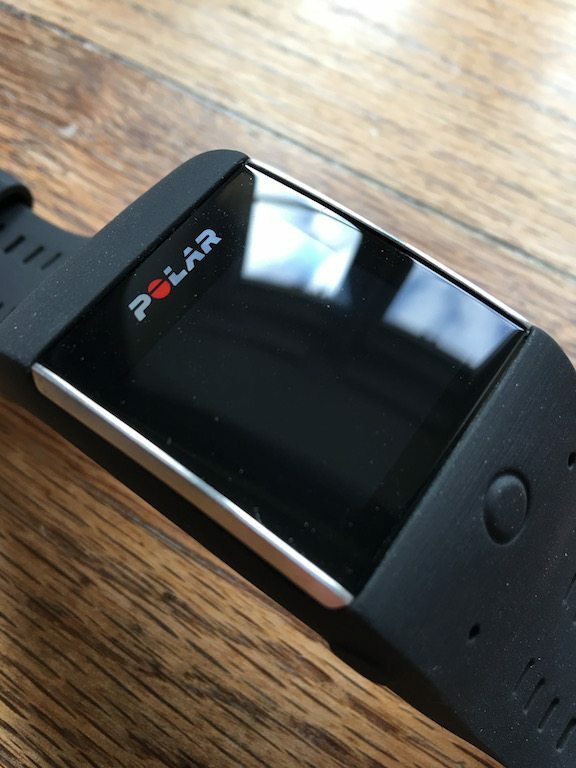 To say the least I am DESPERATELY waiting for the next few firmware updates to see if Polar can improve the battery life.